Notepad Corner: Should You Feed Your Cat Home Cooked Meals? Should You Feed Your Cat Home Cooked Meals? Canines can usually eat all kinds of foods and giving them leftover scraps for dinner and cooking them a big stake will usually be sufficient for them. Felines on the other hand are more sensitive and require a more sophisticated diet. This means that for anyone who is considering making their own cat food should stay away from doing this and stick to buying a well-known brand instead. Cats have many nutritional needs and these cannot be fulfilled through a home-cooked meal. Although your heart may be in the right place it is going to be much more affordable and better for both owner and pet to simply buy a well-known natural brand like Orijen cat food. · Firstly you can source out extra supplements depending on the age and breed of your cat. If your cat has a thick fur coat then extra omega oils are going to be beneficial to them. · As your cat gets older you don’t need to think about giving them extra nutrients for their joints as these are going to start to wear out and in a lot of cases arthritis will kick in. Glucosamine sulphate is a fantastic supplement that works for all types of animals and humans as well. 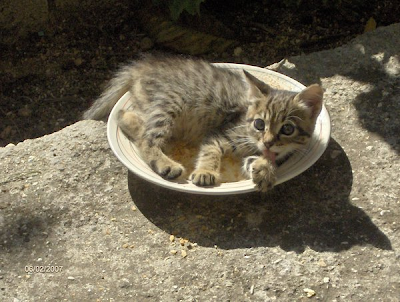 · You can every now and then give your cat some home-cooked food, maybe some fish or poultry, but this must be followed with extra ingredients and nutrients. · You can however treat your pets with Hills cat food. They already have a wide selection of different foods for you to choose from. Further they have all of the goodness that will benefit your cat as it grows older. · Lastly, buying online is going to be the best way for you to save some money while getting the best products available for your cat. You can buy everything from Applaws cat food to designer collars at affordable prices and have them even delivered to your home. These are just a few tips for any feline lover out there who wants to give their cat an extra treat and show them some love. I think its much safer to go with cat foods as this would ensure they get the right amount of nutrient. I have no cats at home but I used to have a pet dog and I was giving her some cooked food. Thanks for the tips. I will share them to my friend who loves cats so much.